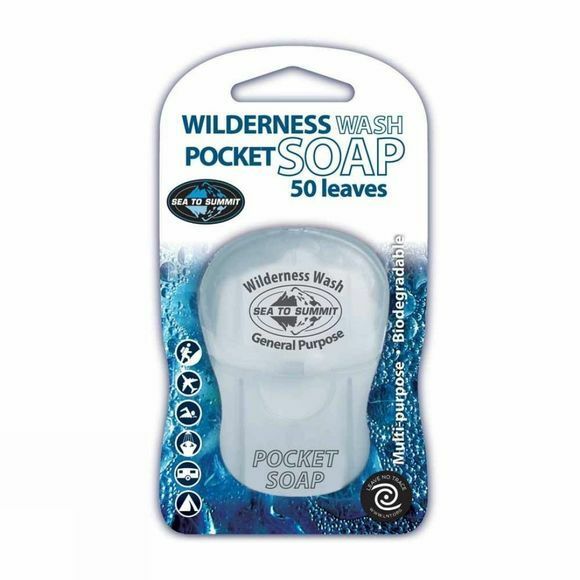 The Pocket Wilderness Wash Leaves x 50 from Sea To Summit comes with 50 leaves of dry soap per pack. Wilderness Wash Pocket Soap is gentle on fabrics and skin but effective on dishes and laundry stains. Just put a leaf or two in your palm, add water and work into a lather to use. It's phosphate, paraben and fragrance free.